What would you say is the most common disease in the United States? If you said heart disease, stroke, or cancer, you’re not alone. These are the most common guesses, but actually, the most pervasive disease in the US is periodontal (gum) disease. 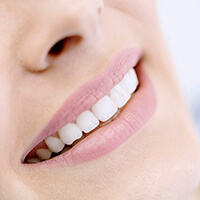 Some research estimates as much as 80% of US adults over the age of 30 suffer from either mild gum disease known as gingivitis or the more advanced form, periodontitis. At Rogersville Family Dentistry, we screen for early indicators of gum disease as part of every regular dental checkup, and if we’re unable to prevent this insidious oral health issue, we offer a variety of comfortable, effective periodontal therapies to renew oral health. Contact our Rogersville dentistry team to find out more or schedule an appointment today. The medical term for gum disease is periodontal disease, and this is actually a more accurate name for this oral health issue. The word “periodontal” is actually derived from two Latin words: “perio” which means around and “odont” which means tooth. Thus, periodontal disease is infection, damage, or destruction of the tissues around the tooth. That includes the gums, but it may also include supportive alveolar bone tissue and the jawbone. 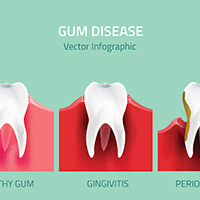 Gum disease occurs due to a buildup of plaque at the gum line. This sticky, acidic substance is difficult to remove from teeth, and overtime, it hardens into tartar (or calculus) that can only be removed as part of a professional cleaning. 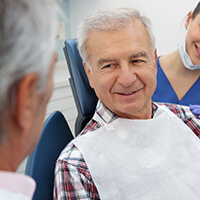 Plaque and tartar buildup irritates the supportive gum tissues casing sores and infection that break down this tissue and the connective fibers that hold teeth in position. In the early, gingivitis, stages, symptoms are settled and typically go unrecognized by patients. These symptoms include gum tissue discoloration and swelling, bleeding soft tissue around teeth, and chronic bad breath. If gingivitis is able to progress to the periodontitis stage, more severe side effects like gum tissue recession, shifting teeth, and tooth loss may occur. Dental and medical research has revealed a link between gum disease and other serious chronic and systemic illnesses. This includes but is not limited to elevated blood pressure, heart disease, stroke, diabetes, and dementia. Pregnant women are at increased risk for gum disease, and expectant mothers with gum disease are more likely to deliver preterm or low birth weight babies. 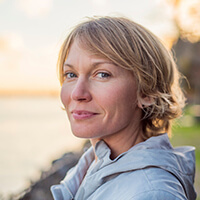 While the research is still not completely conclusive as to the exact reason for this link, researchers’ current working theory is that these sores in the mouth are exposed to any number of bacteria, foods, beverages, and other foreign matter each day, which may allow infection to enter the blood stream leading to other systemic illnesses.